One of Nigeria's numerous bad roads - (Google Photo). Buhari’s administration has allegedly done a poor job of allocating resources to improving critical infrastructure across the country. 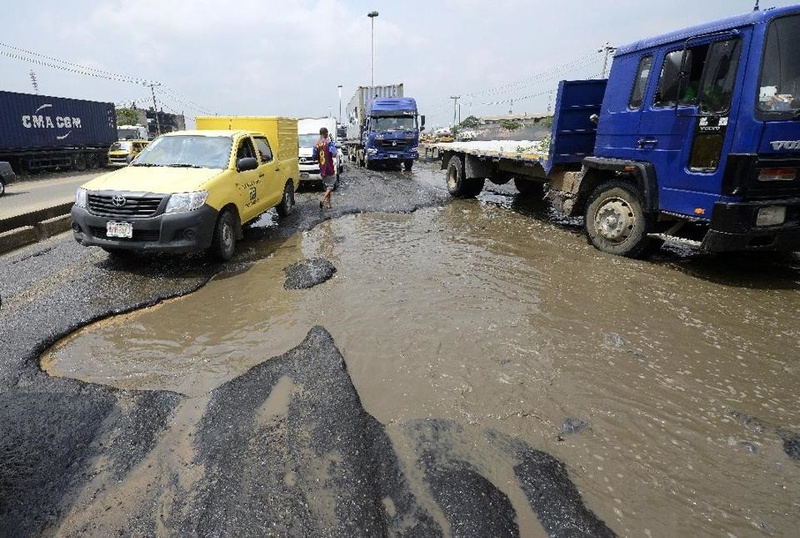 Pot holes, death traps, flooded roads, whatever you choose to call it; the Nigerian roads appear to be in its worst shape over the last 10 years. Nigerian lawmakers seem to have come to terms with this reality. On Thursday, the lawmakers at the lower chamber of parliament called on the executive to declare a state of emergency over the country’s crumbling roads. The House of Reps noted “the failure of successive administrations to prioritise road construction and maintenance,” leaving major routes in “various states of disrepair”. They called on the president to set up a tax relief scheme for road-building firms to help address the issue. The lawmakers accused Buhari’s administration of doing a poor job of allocating resources to building much-needed infrastructure. About one-tenth of the amount budgeted for capital projects between January and July 2017 was spent for that purpose. That is two-thirds less than during the same period in 2016, according to Capital Economics.